Provides network communication with Static Management Program (SMP). Data collected through SMP includes operator resistance, operator voltage, mat resistance, metal tool impedance and metal tool EMI voltage. Pairs with lights and buzzers for increased visibility. 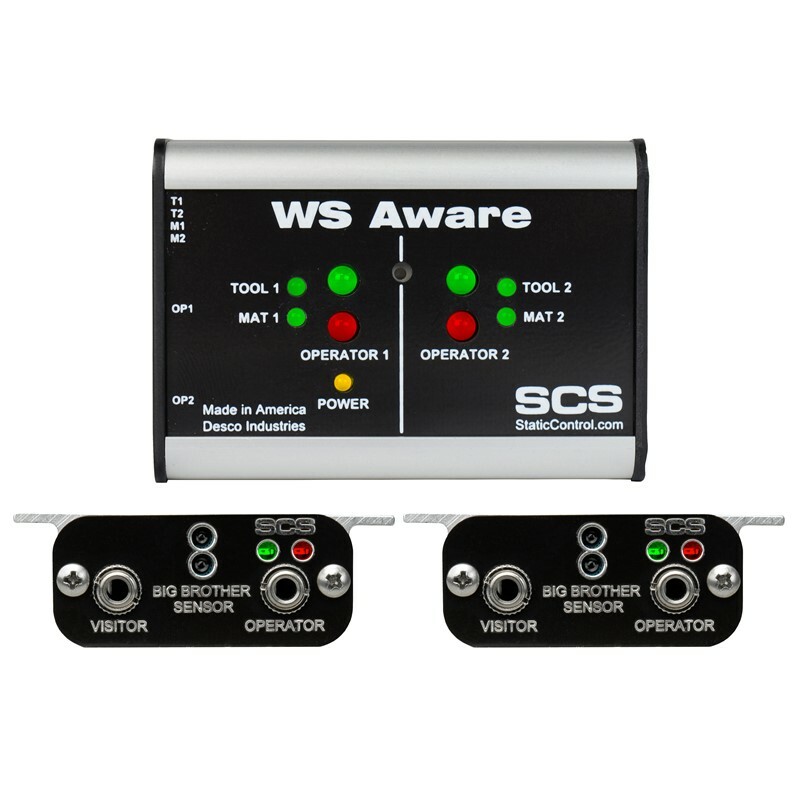 Continuously monitors the path-to-ground integrity of two operators, two conductive or dissipative worksurfaces, and two metal tools; meets ANSI/ESD S20.20 in accordance with ESD TR1.0-01-01. Applies an ultra-low test voltage to the operator (0.05V) for the handling of sensitive components. Alarms if the operator generates or comes in contact with voltage that would be dangerous to an ESD susceptible item. Alarms if the grounded metal tools have high-frequency noise that could cause electrical overstress (EOS) damage. Detects the presence of an operator and alarms if a wrist strap is not connected to prevent ungrounded handling of ESD susceptible items. See SCS Dual-Wire Wrist Straps. Use the CTA245 Replacement Jack PCB to easily replace the operator jack without the use of solder. Works with standard electrical systems in North America, United Kingdom, Japan, Asia and Europe. This item is assembled and stocked in Chino, CA.